Horncastle based AFC Harpars will be looking to strike gold tomorrow - and boost their promotion bid in Division Two of the Lincoln Sunday League. Harpars entertain struggling Golden Cross looking to cement second place in the table and turn up the heat on leaders Trent Valley. Harpars are one point behind Trent Valley but have played a game more. While Harpars host Golden Cross, Trent Valley play third placed Burton Arms. In Division One, Woodhall Spa United and Wragby FC face tricky away games as they look to kick start inconsistent campaigns. 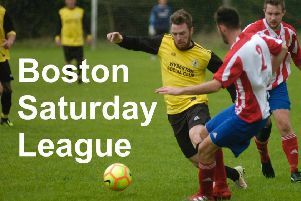 Woodhall travel to mid-table rivals Ruston Sports while Wragby visit leaders Saxilby Athletic. In Division Four, Bardney travel to rock-bottom West End chasing for a win that could lift them into fifth place in the table. The Division Five programme sees Horncastle Town’s Development Squad travel to Hykeham Tigers. Town have slipped out of the top four after a couple of particularly unlucky defeats but should have enough to beat their next-to-bottom opponents.